The map describes spectacular viewpoints, scenery, attractions, lodging, dining and attractions along the National Tourist Routes of Hargander region. The drive through the blue Rondane mountains is an impressive journey through geology, nature and culture. 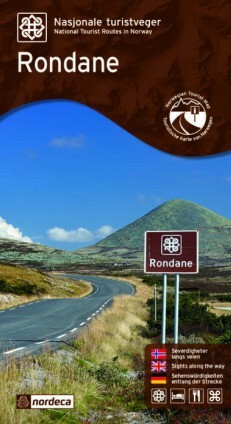 The route follows the east side of Rondane National Park, with cultivated land on one side of the road and the mountain massif on the other.